With holiday parties right around the corner, upgrading your lighting is an easy way to give your powder room a facelift. A fresh and attractive powder room is essential as you prepare your home for holiday gatherings. This small space plays an important role in making your guests feel comfortable, and good lighting is key. Upgrading your half bath lighting is a quick and easy way to make a big statement. 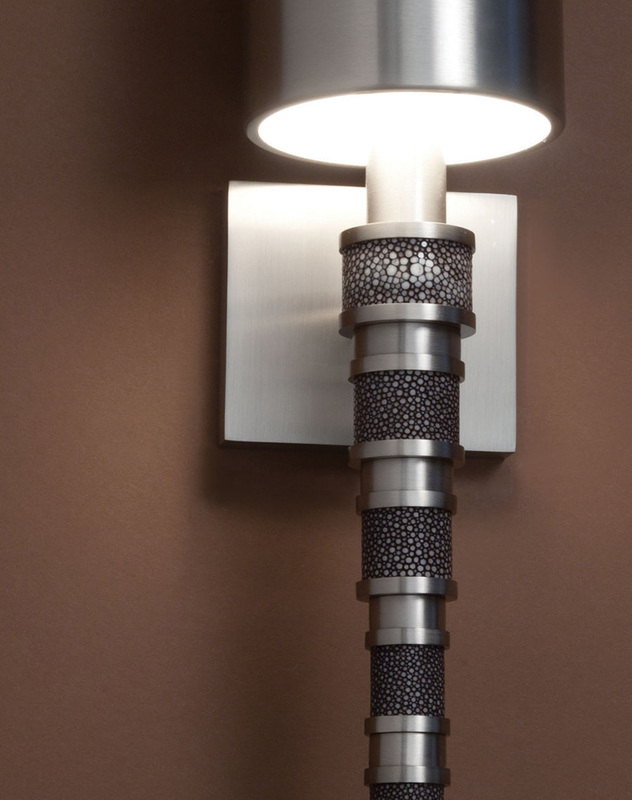 Boyd Lighting bathroom sconces are engineered to emit a glare-free glow that is sure to make your guests feel radiant. And since your jolly fellows will be getting personal with them in such a small space, you can rest assured your lighting is ready for their close up. 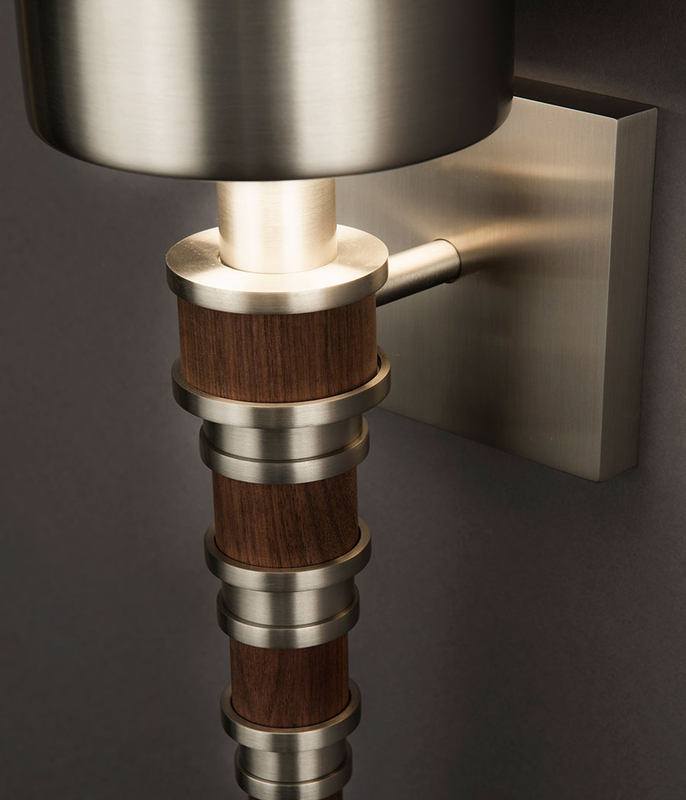 Made by the hands of talented craftspeople, Boyd fixtures have impeccable finishes and superior performance. So dust off your good china, polish your silver and let’s get ready for the holidays! Ask any lady and she’ll tell you how good it feels to walk into a glamorous bathroom. So bring romance into your powder room with the tasseled Duchess Sconce, crystal and pearl Shimmer Wall Bracket or the gold leafed POP! Wall Sconce... and add scented candles for an additional feminine touch. This powder room by JamesThomas features the feminine Duchess Sconce, available in four metal finish options and Creme, Harvest Gold or Mushroom silk options. 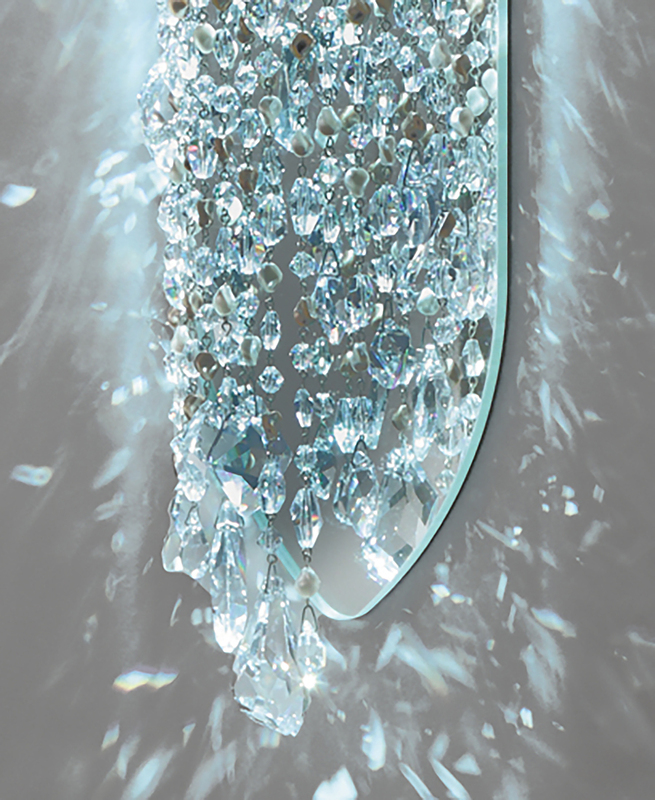 The Shimmer Wall Bracket's strands of Swarovski pearls and faceted crystal beads bounce around light with the help of a mirrored back plate in this powder room by Kristi Will Design. The masculine wallpaper pairs nicely with the playful and glamorous POP! Wall Sconce in this powder room by Daher Interior Designs. 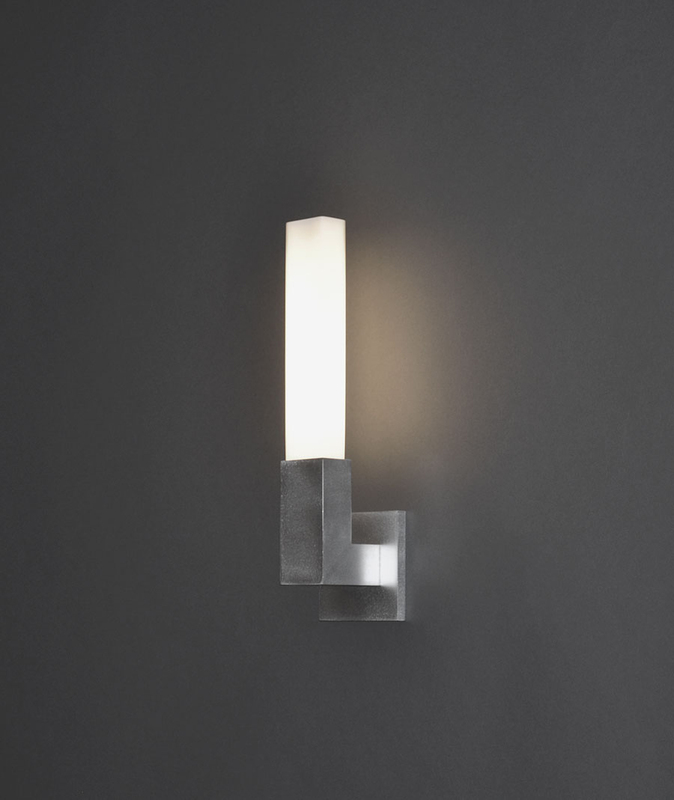 Dimmable, this sconce by Fisher Weisman is available in either white or yellow gold leaf options encircled in crystal spheres. Photo by Eric Roth. 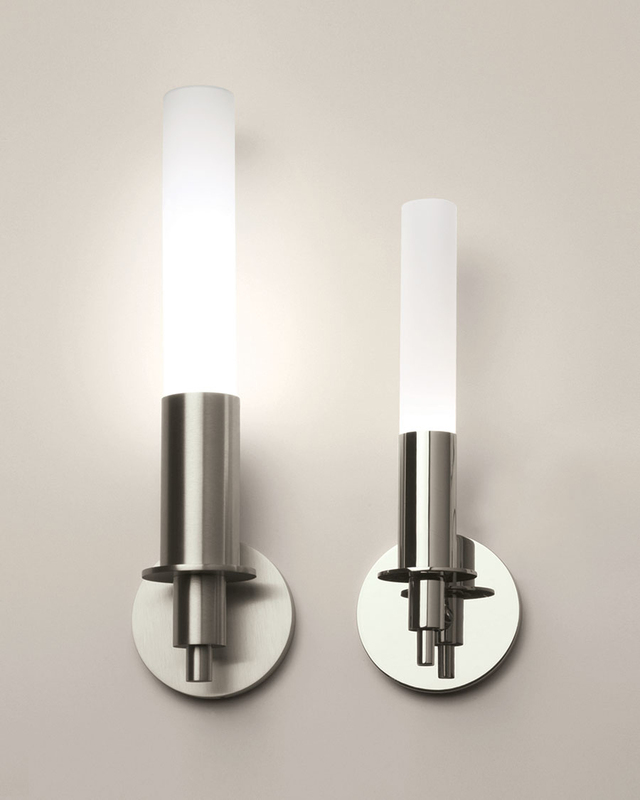 Warm up sleek and masculine powder rooms with the dimmable LED Glow Sconce, glass Linea Sconce or the classic Mercury Sconce. Then warm up stainless fixtures with a vase of seasonal greenery and have plenty of soft towels on hand. The dimmable LED Glow Sconce in Blackened Brass matches the sink hardware perfectly in this masculine powder room by Carrie Long Interiors. 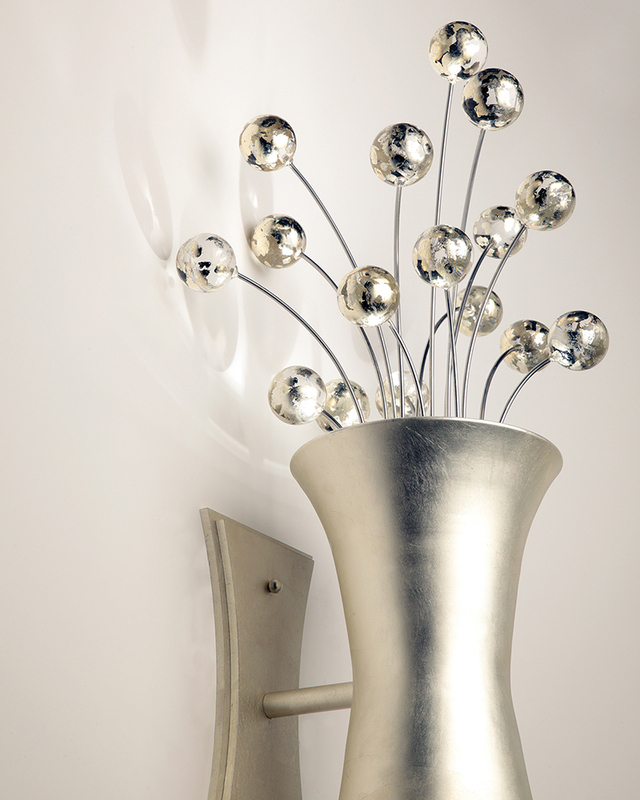 Designed by Christine and Jacques Rouviere, it is also available in Satin Nickel. Photo by Beth Singer. The mouth blown cased glass of the Linea Sconce softly diffuses the light in this bathroom by Carrie Long Interiors. With a nice price tag, it's an easy update for the holidays. Photo by Beth Singer. 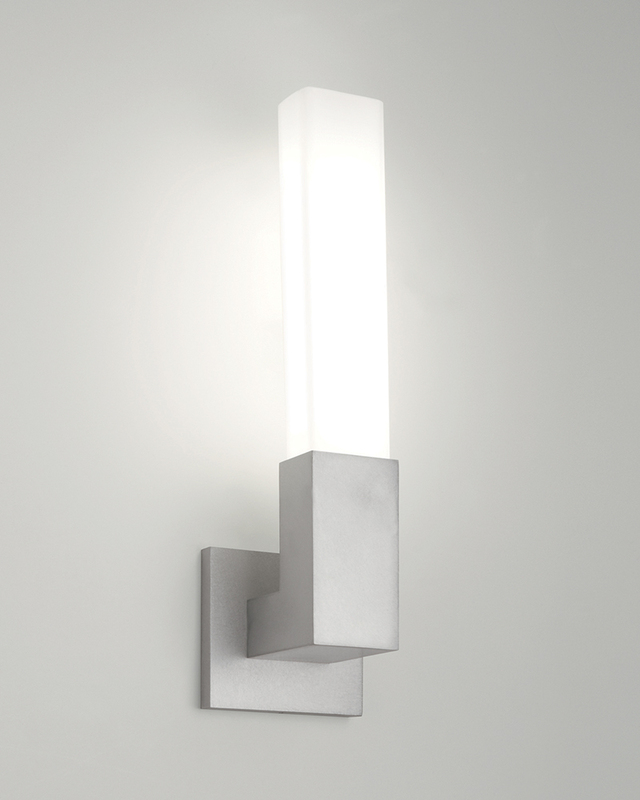 The Mercury Sconce is available in two sizes and six finish options to complement any modern or industrial powder room. And because both sizes are ADA, their low profile makes them perfect for small spaces. 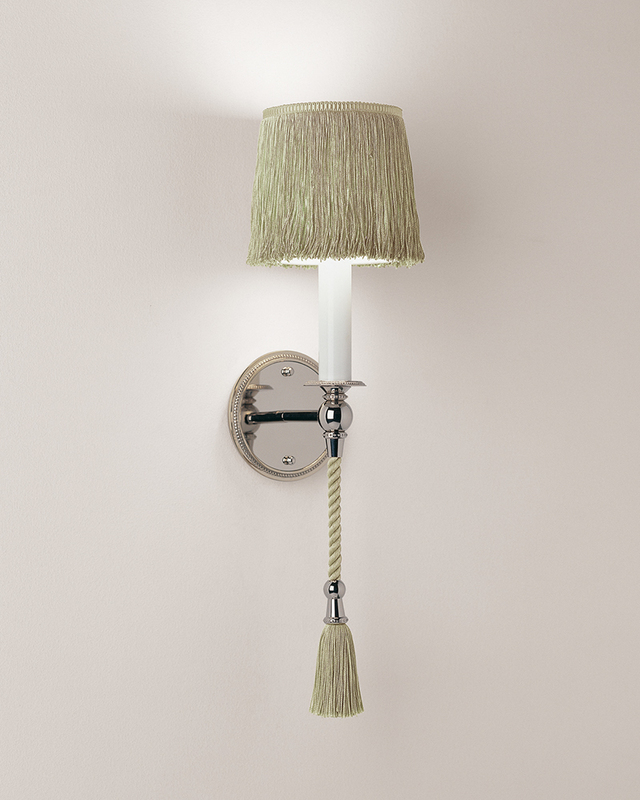 Make your lighting the focal point of a simple powder room by choosing statement sconces. 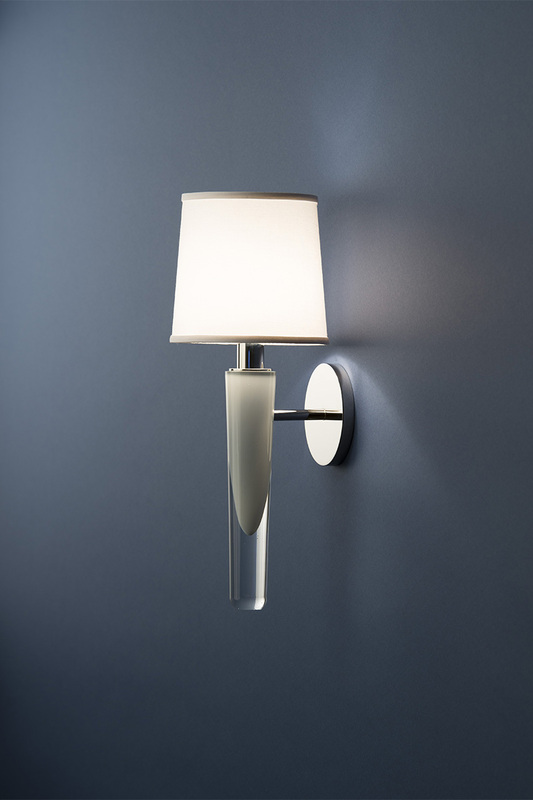 The Grasse Sconce, available in four colors and hand-blown in the Czech Republic, or the Topanga II Sconce, with its almost limitless combinations of shagreen, wood, linen and metal, are perfect solutions. A pair of hand blown, white Grasse Sconces designed by Jamie Drake are a focal point in this powder room by Kristi Will Design. 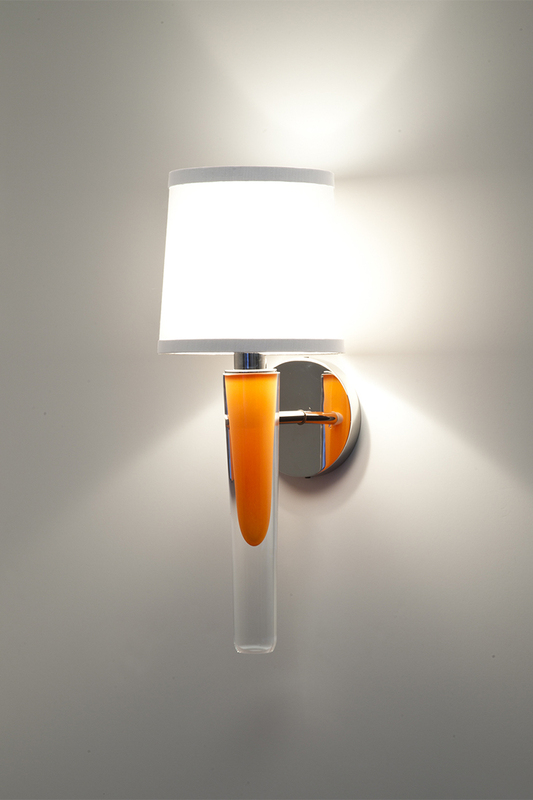 Available in 4 glass colors, 3 nickel finish options and 3 brass finish options. In his own bathroom, Jamie Drake chose a pair of his very own Topanga II Sconces designed for Boyd Lighting. The absolutely stunning shagreen (shown here in Peony) or wood collars come in 9 different options. 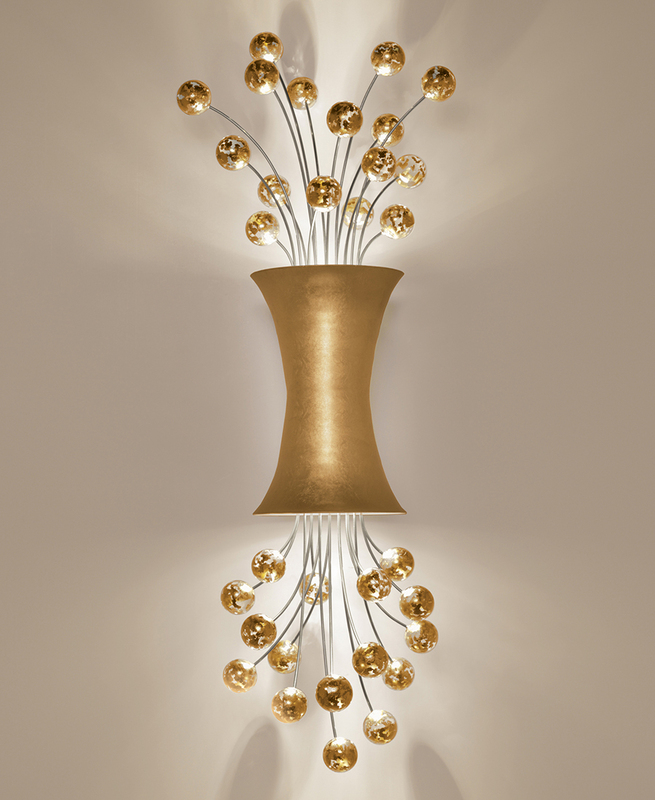 There are 5 metal finish options and the option of a silk or metal shade. Leslie Fine Interiors chose the two-tone Belmont Sconce for this casual bathroom. The classic shade and penny tiles, paired with a modern vessel sink make for a comfortable powder room any guest would feel comfortable in. Photo by Michael J. Lee. 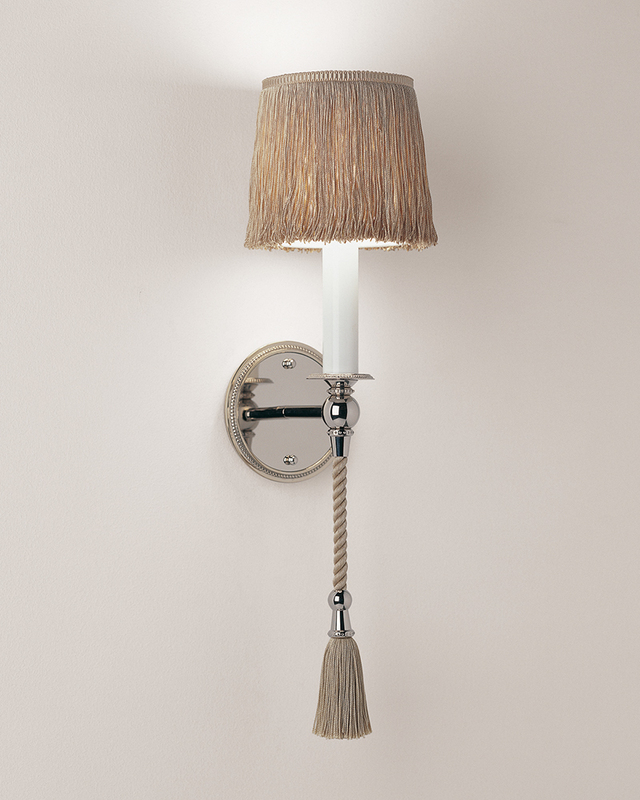 See the full collection of Boyd Lighting sconces here.